Rice Crispie Treats are always a good idea. When I stumbled upon coconut flavored marshmallows at the grocery store I immediately concocted these babies. 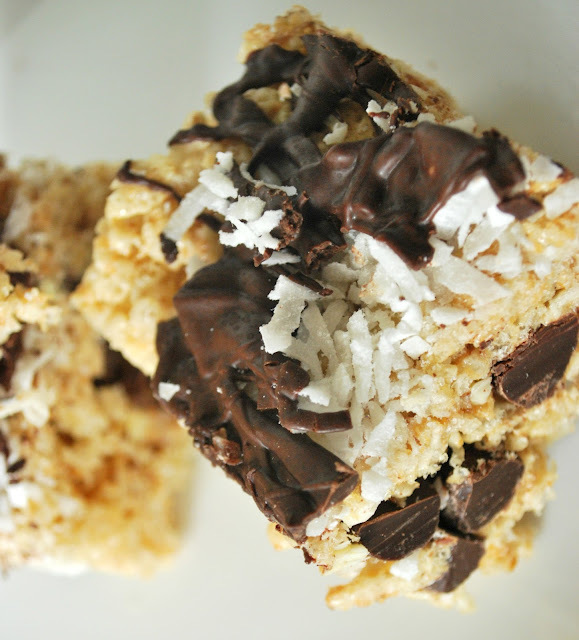 Head on over to Somewhat Simple today to get the recipe for Almond Joy Rice Crispie Treats.